I encourage you to read this blog article written by Jordan Merlo, a student from Loyola University Chicago who just completed a 12 week internship with us. If you read these articles about Challenges Facing Non Profits, you'll see how thousands of us are searching for resources, but few of us have the advertising power, or celebrity leadership, to draw those to us consistently from year-to-year. 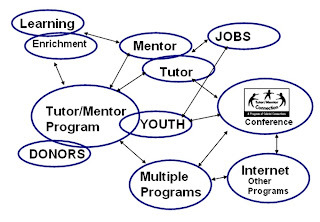 So how do we build and sustain tutor/mentor programs like Cabrini Connections, who seek to help kids and volunteers stay connected many years, so the kids have networks of support helping them into jobs and careers when they are in their twenties, and are looking for work? One way is to recruit others to champion our cause, by encouraging people in their own network, faith group, industry, alumni association, etc. to look at our web sites, attend our conferences, and use their own time, talent and dollars to help these programs succeed. Jordan is an example that could be followed by thousands of others. 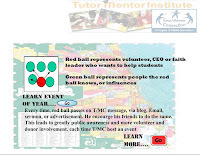 On May 27 and 28 the Tutor/Mentor Leadership and Networking Conference at Loyola University Chicago offers an opportunity for people in this network to connect with each other, share ideas, learn to work together, so more people are becoming supporters of tutor/mentor programs in Chicago and other cities. We have a few workshops focused on social and traditional media. Longtime reporters will talk about the challenges of writing about violence, especially of high school students. Attendees will learn about the thought process of how a reporter covers violence against a student. How does the reporter decide who to talk to? How does the reporter decide what to focus on? How does the reporter approach a subject? Nonprofits: Time to get Mobile, presented by Brian Banks, Regional Manager, AdvaTEXT.com . This workshiop will explore the issues around nonprofits collecting cell phone numbers in the marketing battle to reach constituents everywhere. These are just three of the workshops and networking opportunities available at the May 27 and 28 Conference. I encourage you to write about these, and other workshops in your own blogs, media and Twitter, and help us build a crowd at the conference, and a wave of readers on this blogs and other web sites of Cabrini Connections, the Tutor/Mentor Connection and other organizations connecting mentors and learning and inner city youth. 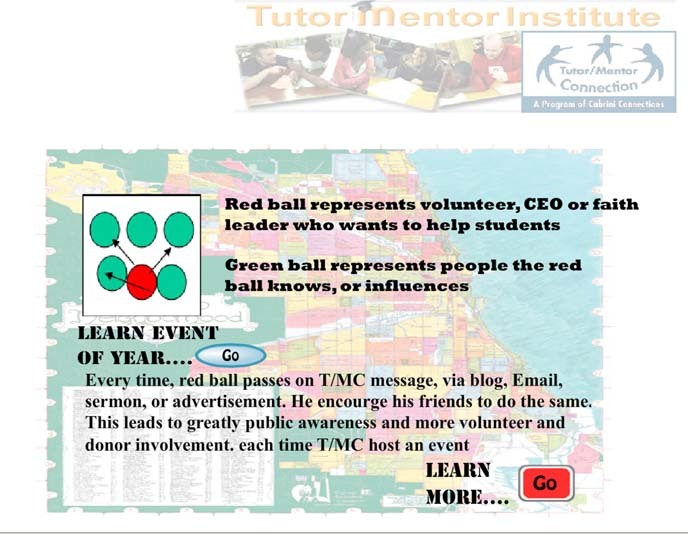 Every six months since May 1994 the Tutor/Mentor Connection has invited leaders of local tutoring and/or mentoring programs, and people listed in the Tutor/Mentor Connection Links Library, to come together for face to face learning and networking, and to help build greater visibility for tutoring/mentoring programs in Chicago and other cities. 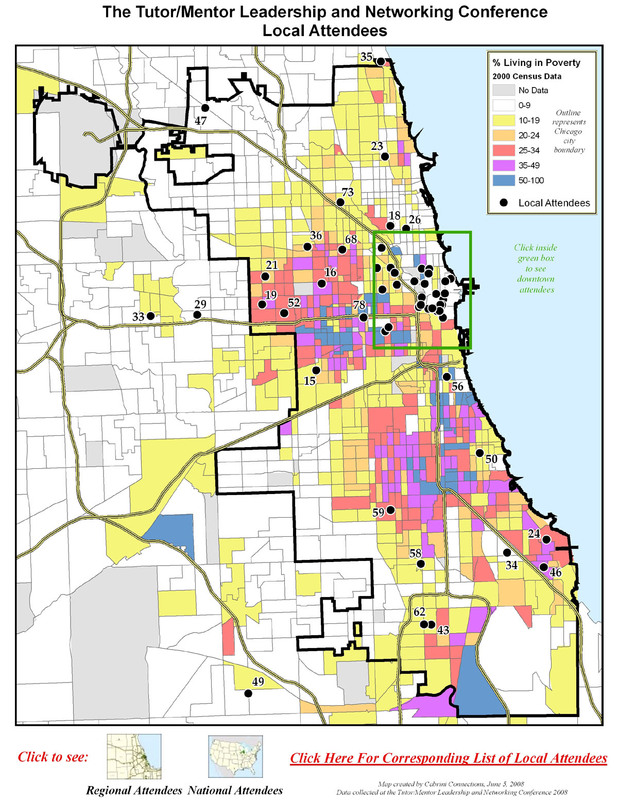 This map show how poverty covers a large part of Chicago, but that participants in the May 08 conference did not come from every neighborhood. We hope that will change with the May 27 and 28 Conference, which will be held at Loyola University. It can, but only if you help us spread the word so more people in more parts of Chicago, and in other big cities, know about the conference and make plans to attend. There will be workshops on public relations, uses of the internet for networking and collaboration, evaluation, volunteer recruitment, volunteer training, and plenty of opportunities to build relationships with peers who can be your friends, and partners for many years to come. As you register, be sure to add your name to the Attendee List, so others can plan to connect with you at the conference, or after. We have the lists for the past five conferences available on the web site, to support the conference goal of network building, information sharing and collaboration. 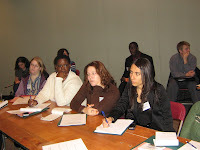 The conference can be a great success if you and others help spread the word, so more people who care about ending violence, by providing positive learning and mentoring and work opportunities during non-school hours, in every high poverty area of Chicago, and other cities, will use this opportunity to connect and work together to draw needed resources to all of the programs doing this work. Need a scholarship? Just ask. Want to be a sponsor? Just ask. Want to make a donation and help us pay for the conference and these scholarships? Go here. Every week we send an email newsletter to the volunteers and alumni of Cabrini Connections. Below is what I had intended to include in this week's mailing. However, since we've learned that two of our students were in a weekend fire, and that one lost her life, I've changed what I was intending to say. You can read the newsletter here. However, it's important that we continue to move forward. Thus I hope some of our volunteers and friends will read this message and respond to our "mobilization" of new talent to help us move into the 2010-11 school year. The summer is also when Cabrini Connections rebuilds the program and volunteer staff for the following school year. Just like the NFL holds its player draft each spring, we're also looking for new talent to support the work that makes Cabrini Connections available, and keeps us innovating new ways to strengthen bonds between students and volunteers. Cabrini Connections is a "learning organization". That means that on our web sites we post our mission, vision, strategy, and we post links to hundreds of other youth organizations. Our aim is that our volunteers and donors and students and staff are all spending a few hours each month reading some of this information, and using it to innovate ways that Cabrini Connections can be the best organization in the entire world in connecting inner city youth with volunteers, information and resources that help them move through high school, college and into jobs and careers. We cannot do that without help from volunteers. And we need new volunteers to step forward each year to fill the ranks where veteran volunteers have had to move on to other life commitments. However, we really need people to take responsible roles as organizers and communicators. We need new people to step forward to lead the Art, Video and Technology groups, and to act as coordinators for the Wednesday and Thursday sessions. We also need more people to help with the web site activities, such as writing stories for this weekly newsletter and our blogs. And, we need people to help us raise dollars to pay the costs of having a Cabrini Connections. National Guard, or Village Investment? 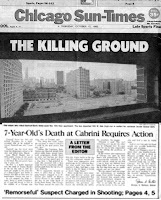 Today's papers show political leaders asking that the National Guard be brought into Chicago to help stop the violence. Have we come to that? 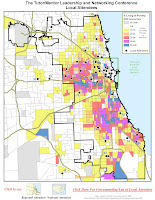 Mike Trakan puts this map on his blog this week, to show where these killings are taking place, and to help mobilize business, faith groups, citizens from all parts of the Chicago region, to become a village that changes the assets in these neighborhoods so more kids have positive aspirations and support systems to help them to careers. 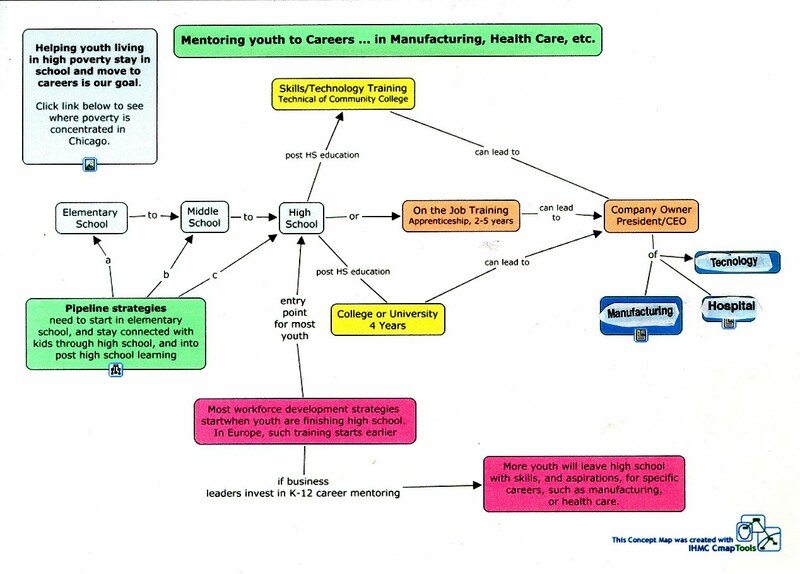 This "career map" is one of many graphics I've put on this blog to illustrate that we're not focuses on limited solutions like tutoring, mentoring, youth development or test scores, but on a bigger vision of helping youth born or living in poverty neighborhoods in 2010 be in jobs and careers and living beyond poverty by 2035. See an animated version here. That's a long term strategy that will take the commitment and leadership of many people in this big village we call Chicago. However, it starts with each person looking in the mirror today or tomorrow and saying "if it is to be, it is up to me". Can you put yourself in the blue box on this strategy map? 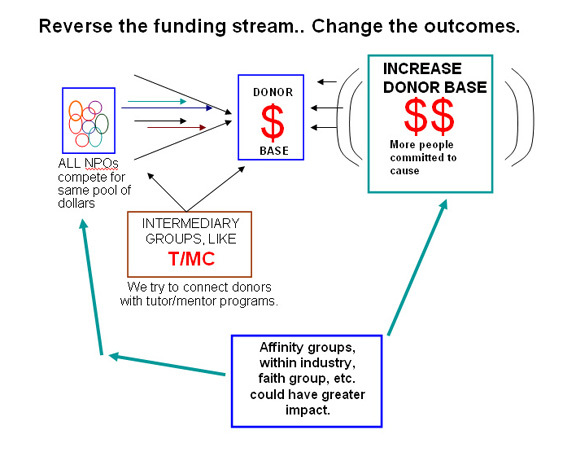 Can you be a benefactor or sponsor to help the Tutor/Mentor Connection continue its role in this strategy map? What is purpose of conferences. Seminars? I attended a Wednesday, April 21 meeting focused on civic engagement of Older Adults. I also presented a workshop on April 22 at a conference at the University of Iowa. In the one meeting people were talking about organizing a conference in September to increase awareness of the "year of the Engaged Older Adult". In the other, educators in Iowa were gathering to address the growing education gap in their state caused by increased immigration and increased rates of poverty. John Hostiny of the Corporation for National and Community Service (CNS) presented a handout titled "Leadership for Impact and Innovation" from Patrick Corvington, the new CEO for CNS. The corporation's goals to foster higher levels of innovation, collaboration and impact in America's service and volunteer sector were summed up in four points. I visited the CNS web site this morning, and browsed through its many sections. There is extensive information on volunteering and how to get involved. 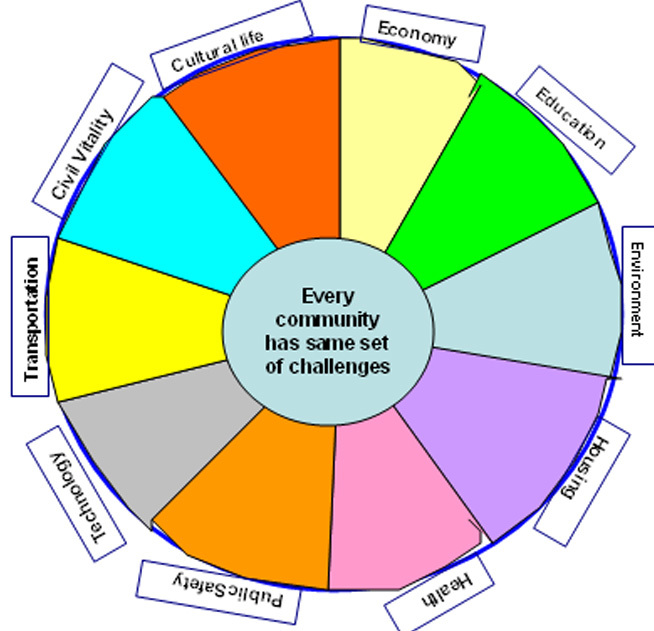 However, I did not see anything like this chart, pointing people to the different "challenge areas" where they might get involved. I borrowed this idea from the Boston Hub of Innovation, where they have this graphic posted. If you click on the map under any slice, such as "education" a new page opens, with information specific to that issue. Imagine if something like this were on the web site of every Mayor, or the Corporation for National Service, or the White House, or the CEO of every corporation. Every visitor would be pointed to places where they could get more information about a problem. But wait. Something's missing. A map. What if there were a map of Boston, like the maps created by the Tutor/Mentor Connection, that shows where poorly performing schools are located, and where volunteer-based tutor/mentor programs are located. With this visitors can see where more programs are needed, and they can search to choose which of the existing programs they want to help as a volunteer, leader, donor, business partner, etc. On the CNS web site, they would need to start with a map of the United States, which people could then use to click what state they want to get involved with, then what part of the sate. On the CNS web site there is a section on "new funding opportunities". When I was in Iowa last week I heard a speaker talk about how difficult it is to apply for federal funding. He suggested that schools partner with universities, or find professional grant writers. What if this thinking were reversed? What if leaders recognized that every organization in every poverty neighborhood needs a consistent flow of innovation resources in order to learn to apply all of these good ideas? Competitive fund raising means most people lose and don't get funded, even though they spend loads of money and time writing grant requests. To me, the purpose of conferences and seminars is to help people build relationships with each other, to point them to good ideas that they might apply in their own work, and to draw attention from the 99% of the people in a community who can't attend that conference, or who are not involved in this process of learning and service that the CEO of CNS envisions. It's the work we do between conferences, and with each other, that turns these ideas into effective actions. Our conferences should be linked to knowledge libraries and interactive forums where people can dig deeper and connect with others who care about the same issue. One goal from such collective action would be to educate donors to pick causes and stay with them with consistent and flexible support for many years. The Giving Pie above illustrates this goal. Is your conference and your web site serving this goal? See how the Tutor/Mentor Conference does this. If we want the same end results, of fewer kids not finishing high school prepared for college and careers, then our leaders should be more proactive in pushing resources to all of the places where data shows that this is a crisis in America. What do you think? Who is doing this really well? This is National Volunteer Week. It's a time when Americans give special thanks to the many people who give time, talent and treasure to help those who have emergency need, health care needs, and long-term needs. This Philanthropic Collaborative page shows how stories can tell how people are giving generously to help others. On the Cabrini Connections web site, we have a growing number of videos where our students and adults, with stories that show how they volunteer their time to be together each week at Cabrini Connections. On the Cabrini Connections Blog, you can read about how volunteers are helping as tutors/mentors. You can also see how volunteers lead arts, writing, technology, video and college and career activities. In this Village Animation, we're trying to show that a great tutor/mentor program seeks to involve volunteers from many different backgrounds. Having programs like Cabrini Connections in all parts of Chicago, requires the time, talent and treasure from many places, supporting many programs. 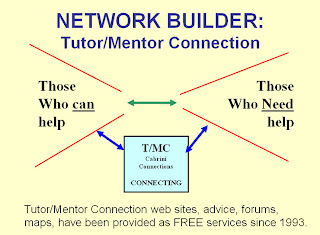 The Tutor/Mentor Connection would not exist without the help many volunteers have provided since 1993. This document shows a wide range of people and organizations who have help build the T/MC. 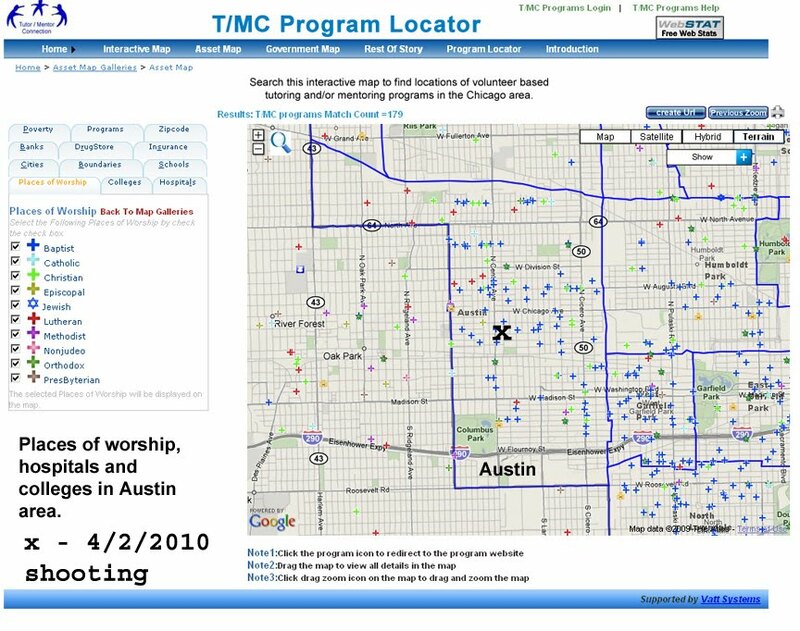 It has not been updated since 2005 and many links are broken, but it shows that without the help of many people and organizations the T/MC would not exist today. And Cabrini Connections, Tutor/Mentor Connection won't continue to exist in the future without the continued involvement of this same range of people. Thank you all for helping us. There is still much to do. As Dr. Martin Luther King, Jr. said in his "I Have a Dream" speech, we have much, much more to do before we have equality of opportunity, hope and aspirations in this country. Wave of Shootings in Chicago. What's Your Response? This front page from today's Chicago SunTimes was designed to get reader attention. 7 more young people in Chicago will killed as part of a continued wave of violence. We hope that whenever you read stories like this you learn to go to the Tutor/Mentor Connection Map Gallery, where you can find follow up stories, that point you to actions you, your business, your faith group, college, high school, or family can take to help build and sustain more birth to work, mentor-rich, youth serving organizations in the high poverty neighborhoods that breed this type of violent behavior. 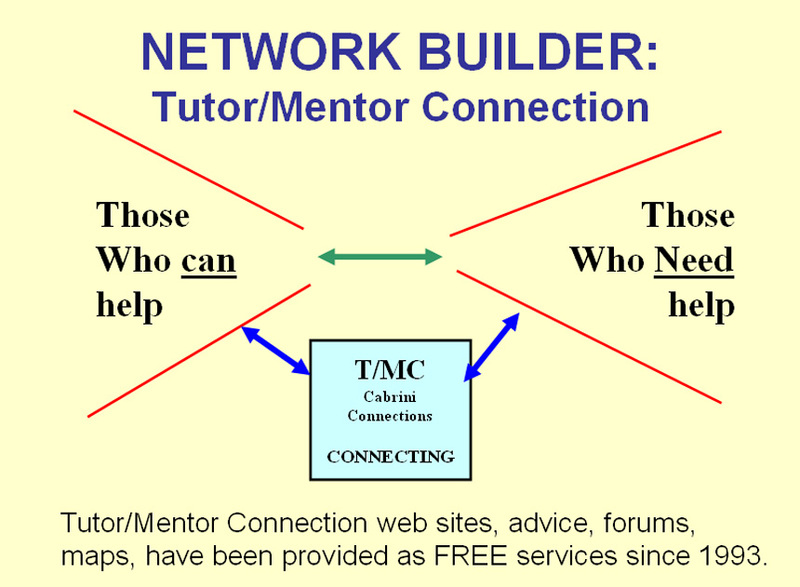 If you lead a volunteer-based tutor/mentor program, and you are not listed in the Tutor/Mentor Connection directory, use this instruction PDF to learn how to add your organization to the database. 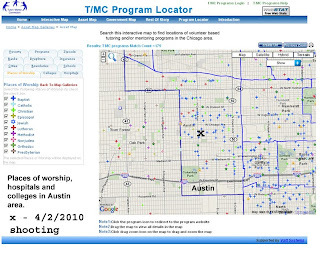 If you want to know more about what the Interactive Maps of the Program Locator are designed to do, view this introduction presentation. In order for neighborhoods to have good volunteer-based programs, a network of donors needs to make a commitment to provide the resources needed for these programs to operate, and grow stronger from year to year. Great programs don't start out being great. They grow to be good, then great, if they can reinvest what the learn from year to year, and what they learn from others. Then when they are great, the need to continue to learn and innovate, so they stay great. Every non profit youth-serving organization has the same needs. They are not all equally good at finding these resources. However, if you read the SunTimes today, and want to help, you can reach out an provide these resources. You can mobilize your fiends, your congregation, your business partners and point them to the Program Locator, so you can choose what neighborhood you want to partner with, and decide what programs you want to help. 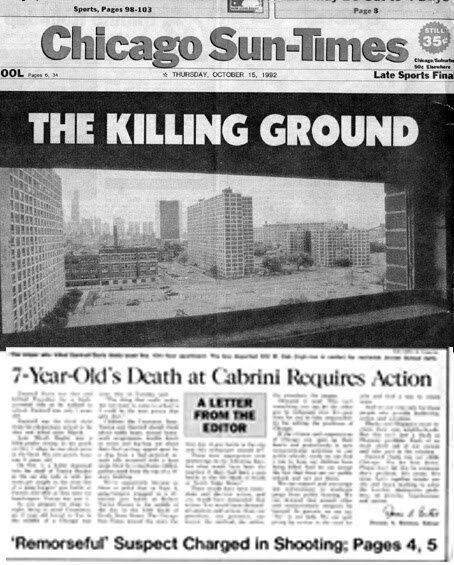 This was the front page of the Chicago SunTimes in October 1992 when we started Cabrini Connections and the Tutor/Mentor Connection. The shooting of Dantrel Davis inspired rich editorial commentary, demanding that everyone take responsibility for changing what was happening. Not much has changed since then because too few people who don't live in poverty are getting up each day and asking themselves what they will do that day to help one, or more, tutor/mentor programs reach kids in the neighborhoods where kids need more help. 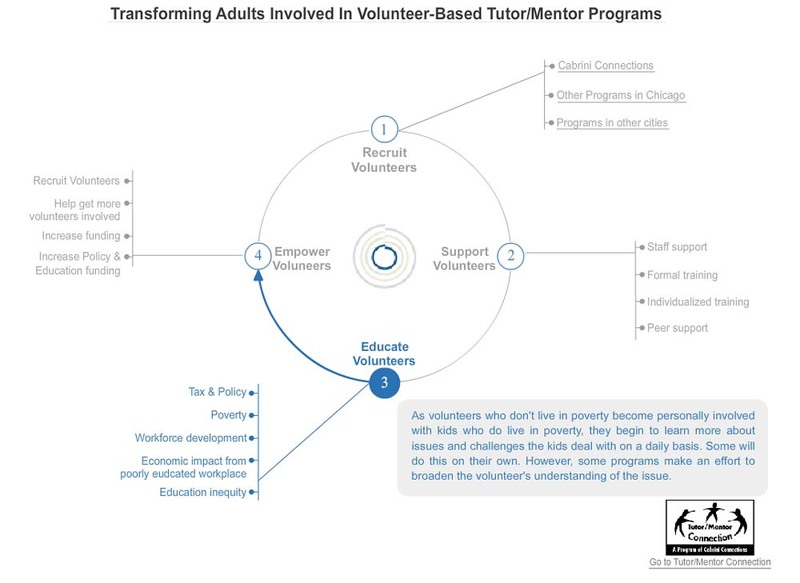 Too few people are using blogs, sermons, media, advertising and personal leadership to demand that they, and others, provide the time, talent and dollars to build and sustain constantly improving tutor/mentor programs in every neighborhood of the Chicago region where they are needed most. You can change that by your own actions. One person. 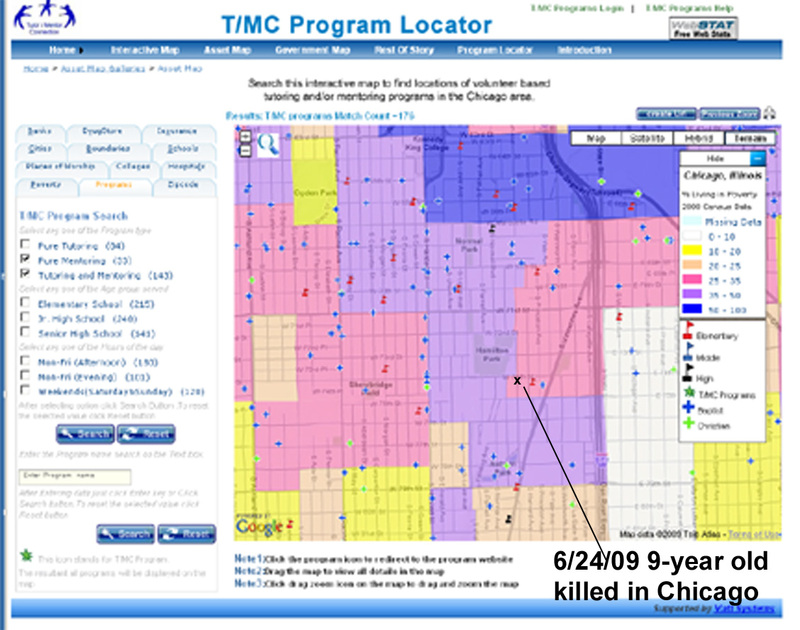 The maps created by the Tutor/Mentor Connection can be used by anyone in the Chicago region, or the State of Illinois. Yet, the funding for the T/MC and these maps has been coming from only a few donors, and most of the work is being done by volunteers. In order for us to continue to reach out and add tutor/mentor programs to the directory, or continue to host the maps, we need a few benefactors who will help us go from good to great, and then stay that way to serve Chicago for the coming decade. Call 312-492-9614 if you can help us find these benefactors, or take that role yourself. What if Mom said "go find another home" ... when you were three. Imagine if your Mom had given birth to you, then one or two years later said, "I can't support you any longer. Go find other parents." That's pretty much how life is for non profits. For programs like Cabrini Connections working to "help teens grow up" this is a huge challenge. We're constantly looking for new donors to replace old donors, or old donors to make larger donations to cover increasing expenses. We don't have the advertising that big companies have, or the high profile celebrity leaders that some charities have. We're not an earthquake, or a tsunami, which is such a large disaster that it draws donors from around the world. We're helping kids from high poverty neighborhoods have an expanded network of adults and learning experiences, and safe places in non school hours. We need to find ways to focus attention, and resources, on us, and many other tutor/mentor programs every day, every year. Thus, I hope you'll read about tonight's Cabrini Connections Arts and Video Festival. Most of you won't be able to attend, but you can look at the work our kids are doing, and see how the learning activities, can also be public awareness and education. Look at the pictures I've posted. Our teens are showing adults what they do. Look at these pictures and videos and you'll see more of this. If you want to help inner city kids grow up, please pass this blog on to people you know who might send a donation, or support us with a corporate of foundation grant, or a bequest. If you can donate, use this form and PayPal to make an on-line gift. Vouchers don't make a difference. Maybe mentoring? He's writing about research done by the School Choice Demonstration Project at the University of Arkansas who just published their latest assessment of the results. Chapman wrote "What did they find? Something unexpected: Kids in the program do no better than everyone else." He also wrote "But no one knows how to increase the supply of motivated families" when talking about how student motivation influences learning outcomes. If 20 years ago just one city that invested millions in school reform money had also invested in a parallel tutor/mentor connection strategy, aimed at surrounding kids with a broader range of adults and non-school learning, maybe we'd have some other information to look at when talking about student aspirations and motivations. It's not too late. Based on this commentary we'll be spending billions more in the next 20 years. Someone once said if you keep doing the same thing to solve the same problem why should you not expect the same results? Invest in non-school learning, mentoring, jobs, vocational education, eLearning, and not just in schools and teachers. Us maps to make sure the investment of programs and services is reaching kids in all of the neighborhoods where schools are consistently under-performing. Get the business community and their workforce and jobs involved. I've written many articles showing how expanding your network can help increase the ideas you have, as well as the people who are helping you use those ideas in your work. I've also written articles showing how we can connect with others through blog exchanges where we use our blogs to introduce other people we meet. I started using Twitter last year after a workshop at the May 2009 Tutor/Mentor Leadership and Networking Conference presented by Community Media Workshop. As a result, I connected with Valdis Krebs, and he did a workshop at the November conference, and donated his inFlow software so I could begin mapping the networks of the Tutor/Mentor Connection. This week I met Lalia Helmer on Twitter. She pointed me to a new report that has some great information on the benefits to business that can come as a result of strategic philanthropy. We talked about finding ways to connect and share more information like this. I suggested linking our blogs. So today, I encourage you to read this article, where Lalia shows how a baking company, Full Bloom Bakery, in Newark, CA, is helping first generation immigrants go to college. 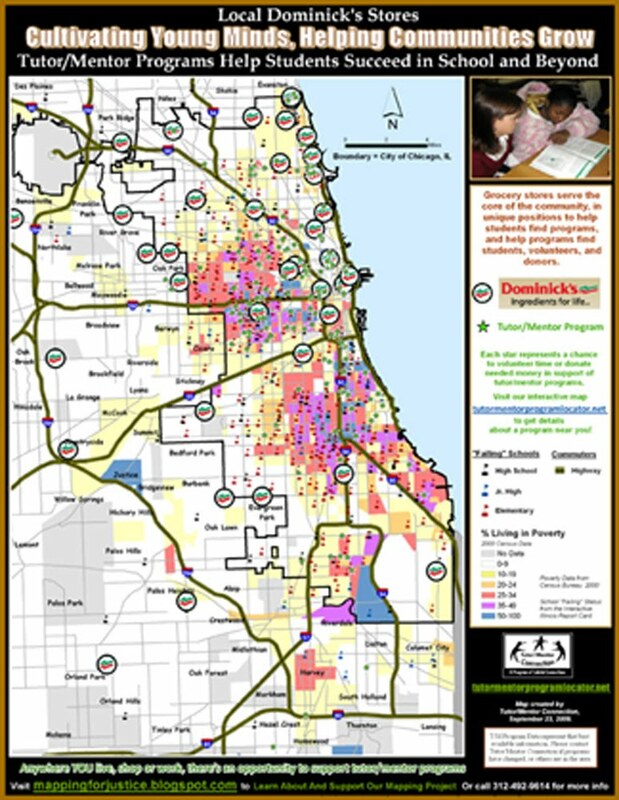 If you know the CEO or owner of one or more Chicago area bakeries, please forward this article to them, and encourage them to become a sponsor of the Tutor/Mentor Connection, and use our maps to reach out to local programs in the neighborhoods where they do business. They can duplicate what Full Bloom Bakery is doing in Chicago and other cities. This is the value of blog exchanges, Twitter and other networks of purpose. 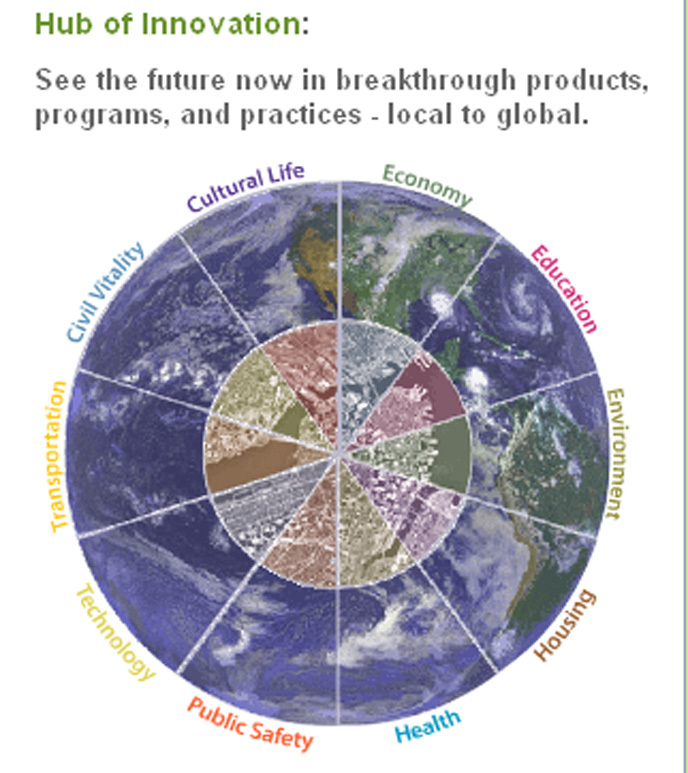 We can share ideas from one part of the world that can be used in other places, by people who do similar work. Thanks Lalia. Please keep sharing ideas about what businesses are doing to help kids. Maybe we can generate this type of helping from many industries. I was browsing the agenda and saw that Greg Darnieder, Special Assistant to the Secretary on College Access, US Dept of Education, will be doing a keynote. Small world. I first met Greg in 1975 when he became the leader of the tutoring/program at LaSalle Street Church in Chicago. For a few years Greg was an active part of a network of leaders that included people from the 4th Presbyterian Church tutoring program, the program I led at Montgomery Ward, and a couple of programs hosted by Continental Bank and Quaker Oats Company. Then about 1980, Greg took his program in a different direction, focus more on in school support and formal learning activities than on building bridges connecting volunteers with inner city youth. We've run into each other off and on, and Greg has had held a number of positions with growing influence in public education in the years since we first met. It's funny how this conference brings us back together once again. Another reason I'm happy to be attending is that one of our alumni, Jabar Norman, is attending the University of Iowa. I just sent him a note on Facebook saying I'd be there and hope he attends the conference. 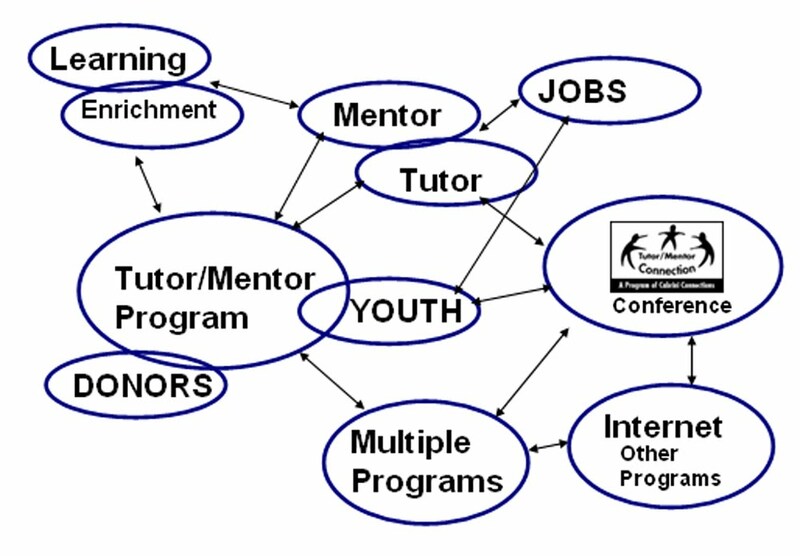 This illustrates who Cabrini Connections and the Tutor/Mentor Connection differ in purpose and strategy from public education. We're trying to connect kids with adults who help those kids grow up. To do that we need safe places where we can host the connections between kids and volunteers. That's our space at 800 W. Huron in Chicago. It costs us more than $70,000 a year for rent, utilities and insurance alone. That money has to come from donors. Yet, without the space we can't maintain the connections. Jabar started with us when he was in 7th or 8th grade. He had the same tutor for several years and that volunteer is now with GE in Minneapolis. We're all three still connected because of the way we're using the Internet to connect people and ideas. Jabar's sends us a generous donation every year to help keep the program going. Thus, the connections that get started in one year keep on giving benefit to this community and its members many years into the future. How many schools, or teachers, stay connected to kids the way we're trying to stay connected to our teens and volunteers? How many schools have teachers who model workplace careers different than teaching? If we want kids to aspire to be engineers, lawyers, technology managers, etc. we need to expose them to people who do that work, and have a passion for it. Cabrini Connections does that by recruiting volunteers from diverse workplace backgrounds. Schools don't do this very consistently. Even if it's part of their strategy, it's difficult for people with full time jobs to make weekly commitments to visit a school during the school day and build a relationship with kids. Maybe they can do that once a year. Not three or four times a month. We can do that because we operate in hours when people are leaving work, when the volunteers are available. Most schools don't do this. 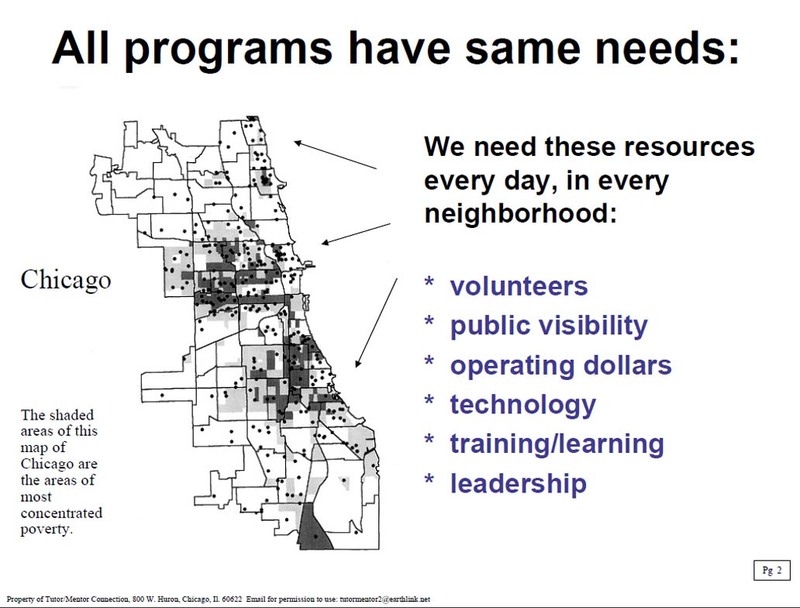 If making one program like Cabrini Connections available in one neighborhood to 80 teens is valuable, then what do cities need to do to make programs like this available in many neighborhoods to 30 or 40 thousand k-12 youth? This is what I'll be talking about next week. It's what I write about on this blog. If you're asking the same question, I hope you'll begin to use the T/MC as a resource, and help us find the money to keep us in business, and in Chicago. Silence Kills - Where's your voice? The feature editorial in today's Chicago SunTimes has a headline of "Silence Kills even the best in the city"
This story is intended to motivate people who know who commits criminal acts to speak up, so killers can be taken off the street. However, most of the readers of the SunTimes probably don't know anything about who committed these crimes. Let's take this editorial in another direction. 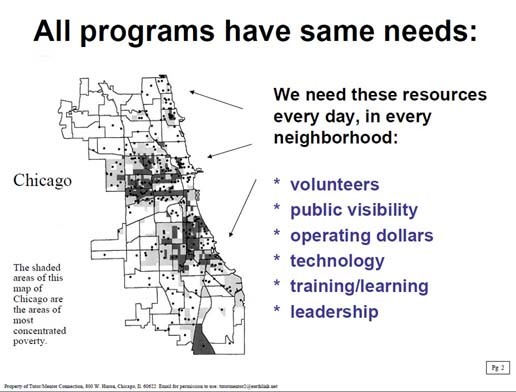 Let's aim it at all of the people who don't live in poverty, who do read these stories in the SunTimes and Tribune, but who are not using their communications ability to mobilize resources that would make more and better tutor/mentor programs available in these neighborhoods. Last Saturday night I watched a TV show called "Law and Order" in which a principal of an inner city high school was passionately describing the inequality between the education kids in charter schools get, and what public school kids in the same neighborhood were getting. I was disturbed by the way the TV show portrayed the principle, because she was protecting kids who had committed a terrible crime, and she was changing grades so these kids, and the school, looked better on paper. To me, this lessened her credibility as an advocate for kids attending poorly funded schools in high poverty, big city neighborhoods. Millions of people probably watched that show. I wonder how many said to themselves, "this is terrible". Thousands of people probably read the SunTimes editorial today, and said "that's right". But how many looked in the mirror, or read my blog articles, and said, I know ten people who could provide donations to support youth programs in inner city neighborhoods with large, or small, donations. I'm going to call them up today and ask them to send a donation, right after I send my own donation. If more people took on vocal roles, every day, to encourage people who don't live in poverty, or businesses who benefit when more kids are moving through school into jobs rather than dropping out before graduation, to take on roles that increase the flow of needed resources into all of the neighborhoods where poverty is causing bad things to happen, we could improve the quality and availability of non-school tutoring, mentoring, learning and technology programs, and begin to send more kids to school every day more motivated, prepared and focused on learning. Read some of the articles I've written and pass these, and the links on to 10 people you know every week. In a year you've motivated 50 people to get involved. In two years this leads to more than 5,000 more people becoming involved. You can help break the Code of Silence, and the impact of poverty, by your own actions. Yesterday I was the Keynote Speaker at the 5th annual "Connections Count" summit, held in Lafayette, Indiana, and sponsored by Our Kids Are Our Community. I was invited to speak by Steven Wilson, a communications professor from Purdue, who is a participant in the Youth Mentoring ListServ hosted by David DuBois, a professor at the University of Illinois Chicago. Steve sent me some media stories that were generated by students from Purdue. You can read them here, here and here. My goal was to broaden the thinking about what a youth mentoring program might look like, and about ways the different stakeholders in the community might support them. I pointed "out of the box" to information on our web sites, that any one in the community can use to expand their ideas and build strategies that reach more kids with more comprehensive, and long-term, types of support. I posted my presentation here. On April 22 I'll be speaking at a conference at the University of Iowa and on August 21, I'll speak at a conference in Indianapolis. My goal is that people in different places look at the quarterly event strategy and collaboration ideas and realize that if all of us talk about the resources needed to make great programs available to support mentors and mentees, we might get more attention from donors in every community than we're able to get right now. Or you can become a sponsor or advertiser, and help us by supporting the May and November Tutor/Mentor Leadership and Networking Conferences. Events last night proved again that the game is not over till the buzzer sounds. True in sports. True in fund raising. True in life. Events over the past week have taught some lessons in life. If you watched the NCAA basketball games, you saw Butler and Michigan State play to the final seconds, then you saw the game between Duke and Butler be decided when a final last second shot missed by inches. If you were following Cabrini Madness you saw that Team Impeccable received a $2,800 donation around 10:45 pm. They thought they had the tournament won. But with 10 minutes left, Guaranteed Victory's last second shot went in... Barry Cofield, a NU alum, and New York Giants football star, made a $2,000 donation that put Guaranteed Victory back on top. Thanks to these last minute heroics, and the work every team did from February 1 till last night, Cabrini Connections raised $23,109. In sports, the winners and the losers, are all reviewing game film today, looking at what worked, and what worked for other teams. Here's El Da'Sheon's review of Cabrini Madness. While the focus for millions of people was on sports last week, several of our teens kept their focus on the work they need to do to win the game of life. Read the articles Bradley Troast wrote about visits to companies where volunteers work, and to colleges. Look here, and here. Bradley also wrote another article, showing that many people in Chicago were dodging bullets during the past week. The game of life for many living in poverty neighborhoods is far more serious than the games of baseball, basketball or golf. A program like Cabrini Connections is intended to provide other choices, and an expanded network of people helping kids through school and into careers. The photos and videos on our web sites and blogs illustrate that t his is happening. The maps Mike Trakan shows at http://mappingforjustice.blogspot.com show that too many neighborhoods don't have programs like Cabrini Connections. We raised over $23,000 through Cabrini Madness, and yet we still don't have the money for next month's rent and payroll. That's because we still don't have enough people telling the story of Cabrini Connections or the Tutor/Mentor Connection to people who might make donations like those made in the last few minutes of the Cabrini Madness Tournament. However, we're not out of the game of "tutoring/mentoring" until we can no longer find volunteers and donors to help us. We have demonstrated this commitment since 1993 when a few volunteers created this organization. We hope our teens learn from our own determination not to give up, and that this helps them in their own battle for a future safe from gunfire, violence, and poverty. On April 16, the Annual Cabrini Connections Art Festival will showcase another part of Cabrini Connections. I encourage you to read the art club blog and forward this to friends, co-workers, and family members who might look at the reasons tutor/mentor programs are needed, and look at what we offer. Cam we find art and video fans who will make donations the same way Cabrini Madness fans did? Can you be the first to donate at http://www.giveforward.org/artfestival10/? Or can you attend the festival and purchase the art created by our students and donated by volunteers. On June 10, we'll celebrate the end of the 2009-10 school year with our year end dinner. On July 15 we'll host our annual Cabrini Connections golf benefit. Each of these will be opportunities to tell more people about the work we do, and ask more people to provide the dollars needed to do the work. Many people have opinions on how to help more kids get the education and skills needed for 21st century jobs and careers. Here's a Washington Post article that enables readers to post feedback. You can see that I posted a comment, and pointed to the maps the Tutor/Mentor Connection creates. Yesterday we were visited by a young woman who leads a youth program in Toronto. She found us on Facebook. She spent a lot of time sharing ideas with El Da'Sheon Nix, who holds a similar role at Cabrini Connections, then she talked with me for a while. I described my background in retail advertising, and how I think of a tutor mentor store as a "retail store" where the goods and services are tutoring, mentoring, enrichment, social/emotional, and other age-appropriate activities that help students take ownership of their own future, and help volunteers become more effective mentors and coaches in this process. 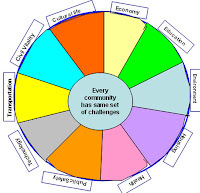 In every company with multiple locations they have teams of people working to make sure stores are in places where there are customers, and that the stores are well designed, have friendly, well-trained sales people, and have products and services that customers want, at prices they can afford. Then they have other teams creating advertising and public awareness every day, so that people choose one of their stores when they are looking for specific things. Our interactive program locator maps enable planners/leaders to make sure tutor/mentor programs are located in neighborhoods where they are needed. In this case, where there is high poverty, poorly performing schools, and other indicators, such as youth violence, high rates of incarcerated adults, or adults who have been incarcerated, etc. If you read the education reform articles, many people gloss over the disadvantages youth in poor neighborhoods face, and talk about how "great teachers" can overcome those. You can participate in as many of these arguments as you want, but who is looking at ways to make more resources available in these neighborhoods, so kids come to school better prepared to learn and succeed in life? After I described this to my guest from Toronto, she said "I've never heard any one describe a strategy like this. Maybe it's because of your retail advertising background." She's right. I don't find many people talking about ways individuals, churches, business, etc. can use their own initiative, and leadership, and creativity, to build a distribution of world-class non-school tutor/mentor learning centers in poverty neighborhoods throughout the country. 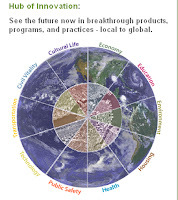 Follow the tags on the left side of this blog and I point to many places where leaders in business, health care and universities say we need to do more to prepare youth for 21st century careers. However, I don't see a "retail store development mentality" where they are mobilizing customers and employees and congregations to become leadership teams at non-school tutor/mentor programs throughout the country. If you know where such discussions are taking place, please share the web address with me and others. Or join in on the T/MC forum and help us grow this discussion there. Easter. NCAA Final Four. How to spend 3 hours. Today is Good Friday in the Christian Faith. Sunday is Easter. A time of hope. Right? Saturday is the semi-final round of the NCAA tournament. Monday is the final. A time of hope. Right? 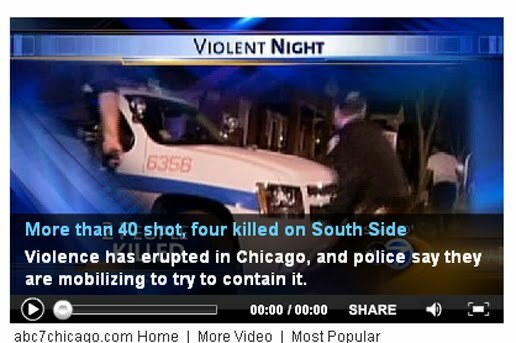 Today the headline in my Chicago Tribune talked of a shooting in the Austin neighborhood. By the time I got to the computer at my office, this was replaced by a headline saying "2 shootings near same corner: 'All hell broke loose'"
This is not Iraq, or Afghanistan. This is Chicago. I don't know all the reasons this happens. I don't have a simple solution. But just as millions of Christians this weekend will read scripture to understand the messages of their faith, I want to point people to information on the internet that I hope they'll spend just two or three hours reading. 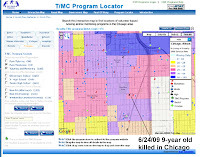 Below is a map of the Austin neighborhood of Chicago that I created using the Interactive Tutor/Mentor Program Locator. 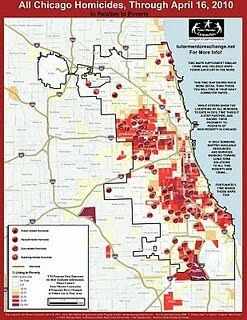 I originally created this map for a blog story I wrote on July 22, 2009, following a column in the Chicago SunTimes, titled, "West Side Community can't fight gun violence alone". This map shows faith groups, hospitals and colleges in the Austin area. Other maps show some of the businesses in the area, and the 290 Expressway, that brings more than a million people through the neighborhood every day. My goal is that people in these organizations will form study groups, and use these maps, and other information on our web sites, to learn why these shootings are happening, and how they can help mentor-rich, non-school tutor/mentor programs form that help kids make better choices because the see better opportunities. Here's an example of how such a discussion group might form. This was a DePaul University class from last fall. One article I encourage you to read links to a video created by Breakthrough Urban Ministries. This organization operates in the Austin area. The video illustrates how a non-school program can expand the aspirations and opportunities for inner city youth. 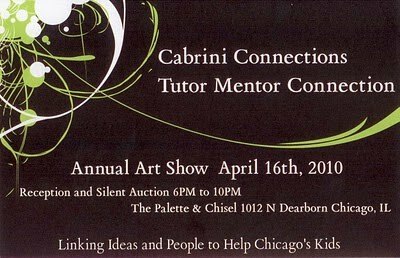 If you visit web sites of Cabrini Connections, and other programs listed in the Chicago Program Links, you'll find other examples of how tutors/mentors are connecting, and how non profits are supporting this process in many neighborhoods. 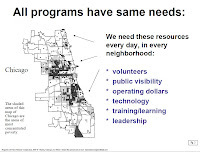 If you read some of these articles, talking about challenges facing non profits, you'll understand how difficult it is to keep tutor/mentor programs growing in these neighborhoods, and how hard it will be to create additional programs. As you think of the teachings of Christ, and of other faith leaders, look at these articles, look at this list of organizations, and then look at how many blessings you've been given because of where you were born, and the people who have helped you in your life. Then, before midnight on Sunday, write a check and send it to one or more of the organizations on our list, or make a Cabrini Madness donation to support Cabrini Connections and the Tutor/Mentor Connection. Three hours is about the time it takes to watch a basketball game, or to view the movie titled "The Ten Commandments". If you can spare this much time to read and reflect on some of these articles, maybe you can help bring hope to kids living in the inner city battle grounds of America. This won't provide you with all of the answers. It will increase the number of people trying to find the answers, and trying to provide the operating resources to assure that there are places in some neighborhoods where kids can go to for help.